You want to look unbelievable--toned and cut in all the right places. When it comes to weight loss, the focus is on the body-- what you eat and how you workout. While both of these are important for weight loss, if you take a step back, you’ll notice there’s more to it…with each pound you shed, look in the mirror and the bigger picture becomes clearer. Weight loss involves the body and the mind. You don’t just love how you look when you lose weight, you also love how you feel. How do I take the Super HD? Take one serving mixed with 6-8 oz of water in the morning, and one serving mixed with 6-8 oz of water 5-6 hours later in the mid-afternoon. Once tolerance has been assessed, and you are looking for an addition boost of energy, you may take an additional serving, mixed in an additional 6-8 oz of water, with your first serving of the day. Do not exceed 3 servings per day. Why can’t I take the Super HD later in the day? If the Super HD is taken later in the day, apart from the recommendation, ingredients formulated to support energy may disrupt normal sleeping habits. 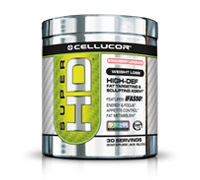 Can I stack SuperHD with a Pre-workout? We do not recommend taking the Super HD and preworkouts within 5-6 hours of each other. They both contain powerful stimulant blends and could make you quite uncomfortable if taken together. If you are going to take them in the same day, you should replace the one serving of Super HD with your single serving of the preworkout. Again, those should be spaced about 5-6 hours apart and not taken within 6 hours of bed time. What can I stack with the Super HD for even better results? We recommend stacking stimulatory products like SuperHD with stimulant free products like CLK to avoid any uncomfortable reactions that may be associated with overstimulation. Please use each product as directed on each label when stacking. Suggested Use: As a dietary supplement, begin by taking one serving (1 level scoop) mixed with 8-10 oz of water in the morning on an empty stomach and (1 level scoop) 5-6 hours later in the mid afternoon to assess tolerance. If well tolerated, an additional serving (1 level scoop) may be added to the morning serving for a total of 3 servings per day. DO NOT EXCEED MORNING SERVING SIZE OF ONE SCOOP FOR THE FIRST SEVERAL DAYS OF USE UNTIL TOLERANCE IS ASSESSED. 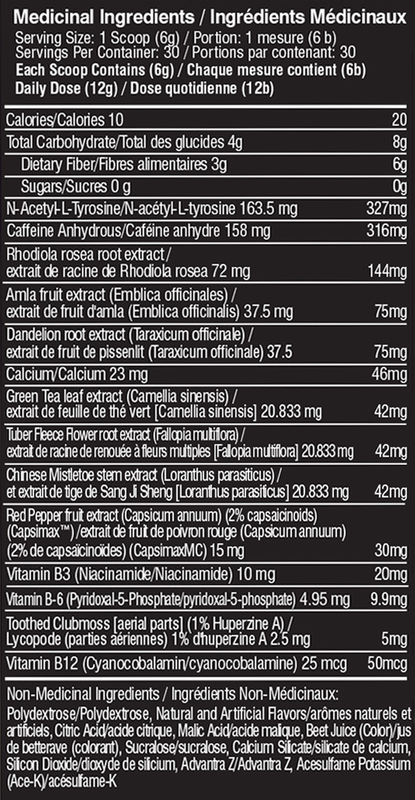 DO NOT EXCEED 3 SERVINGS IN A 24 HOUR PERIOD. Drink plenty of water throughout the day to avoid dehydration.